Bright Minds Daycare (Moseley), the third nursery at Bright Minds Daycare, is a beautiful and extensive character property which is currently in the process of being converted into a spacious 80 place premium nursery complete with exceptional facilities, located centrally within the beautiful and leafy heart of Moseley. Bright Minds is passionate about delivering the highest standards of care, learning and development for all children; the Nursery Manager for our new Moseley nursery must be equally committed and driven to push the boundaries forward for early years care whilst having the necessary experience to run a setting of this size and hold a highly positive and ‘solution led’ management style. 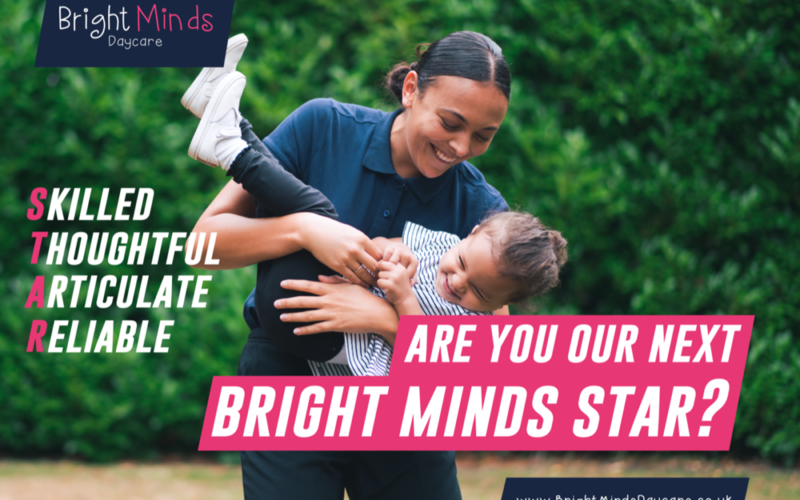 If you feel you could be part of the Bright Minds family and want to be a part of a brand which aims to be at the forefront of the sector please send your CV and covering letter to recruitment@brightmindsdaycare.co.uk with ref ‘Nursery Manager’ within the email subject title.